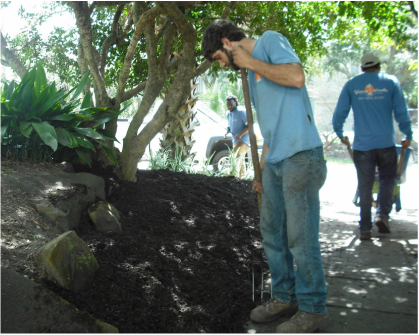 YardWorks crew installing mulch on Sullivan's Island to spruce up for Spring. Spring cleaning isn't only for the inside of your home - your lawn needs seasonal attention too! If you don’t do year round lawn maintenance, it’s especially important to perform seasonal landscaping to keep your yard from becoming overgrown or unkempt. Fallen leaves, overgrown shrubs, lack of fertilization - these things can hold your yard back from being the beautiful landscape you desire for your home.